Ines Hernandez-Avila is Director of the Chicana/Latina Research Center. She served for several years on the C/LRC steering committee, and then as co-Director, from 2000-2002. She became Director in academic year 2002-2003. 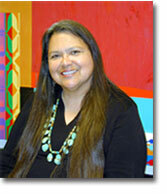 She is Professor of Native American Studies, having served as Chair of that Department from 1996-1998. Under her leadership, the department submitted a successful proposal to establish an M.A. and Ph.D. program in Native American Studies. This graduate program, officially approved at the UC systemwide level in early November 1998, is the first of its kind in the country in its hemispheric perspective. She is a poet and cultural worker as well as a scholar. 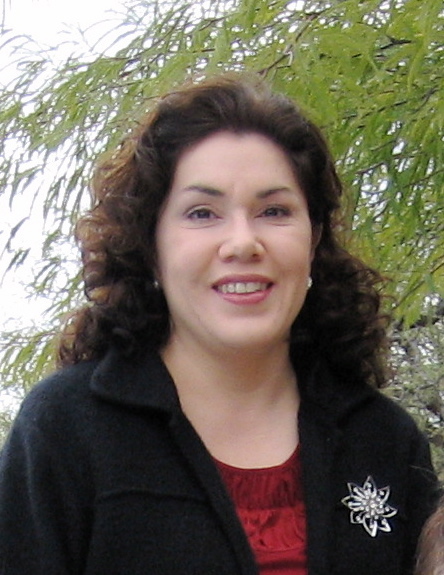 Dr. Hernandez-Avila's research/publication areas are Native American women's literature (particularly poetry and performance), contemporary indigenous literature of Mexico, Native American religious traditions, Native American and Chicana cultural studies, Native American and Chicana feminisms, early 20th century Texas-Mexican womenâ€™s literature. She is a member of the Latina Feminist Group who produced Telling to Live: Latina Feminist Testimonios, which won the Gustav Meyers Center Award as one of the ten outstanding books of 2002 focusing on issues of human rights and bigotry. She and Gail Tremblay coâ€“edited a special issue on Indigenous Women for Frontiers: A Journal of Womenâ€™s Studies (fall 2002). She and Domino Renee Perez coâ€“edited a special issue of SAIL (Studies in American Indian Literature), titled â€œIndigenous Intersections,â€ looking at Chicana/o and Native American connections. She also edited a collection of essays titled Reading Native American Women: Critical/Creative Representations (Altamira Press). One of her forthcoming projects is Entre Guadalupe y Malinche: Tejanas in Literature and Art, coâ€“edited with Norma Cantu, which is being published by the University of Texas Press. Dr. Hernandez-Avila is an elected member of the National Caucus of the Wordcraft Circle of Native Writers and Storytellers. She also holds memberships in the American Academy of Religions, the Society for the Study of Native American Religious Traditions, the Association for the Study of American Indian Literature, the American Studies Association, MALCS (Mujeres Activas en Letras y Cambio Social), and the National Association of Chicana and Chicano Studies. Her Ph.D. is in English from the University of Houston. She is a Ford Foundation/National Research Council Fellow twice, at the doctoral and postdoctoral levels. Lorena Oropeza is the Interim Director of the Chicana/Latina Research Center for 2009 (Winter, Spring and Fall quarters 2009). She served for several years on the C/LRC steering committee. Lorena Oropeza is an associate professor of history at the University of California at Davis. She is the author of ¡Raza Sí! ¡Guerra No! : Chicano Protest and Patriotism During the Viet Nam Era and a co-editor of the anthology Enriqueta Vasquez and the Chicano Movement: Writings from El Grito del Norte. She is currently writing a history of the Alianza land-grant movement in New Mexico employing the theme of memory and history. Convinced that Chicana/o history is a central part of U.S. history, she serves on the editorial board of a new journal called The Sixties: A Journal of History, Culture and Politics where an article she wrote reassessing the role of land-grant leader Reies Lopez Tijerina appeared in the 2008 inaugural edition. At UC Davis, she has served on the Chicana/Latina Research Center steering committee for more than a dozen years. When she is not at Davis, she lives in Richmond with her husband, John, and their two sons, Armando and Juan Miguel.